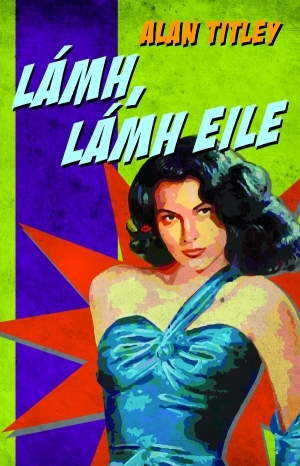 Téann scríbhneoireacht chomhaimseartha na Gaeilge i ngleic le neart téamaí agus réimsí leathan, ficsean bleachtaireachta and eolaíochta ina measc. Léifidh údair, Alan Titley agus Dave Duggan as a n-úrscéalta nua (Lámh, Lámh Eile agus Makaronik) agus pléífidh siad nua-scríobhneoireacht chorraitheach na Gaeilge le Tadhg Mac Dhonnagáin, atá i mbun a chéad úrscéal féin a scríobh, Bean an Oileáin, le bheith foilsithe i 2020. Is trí Ghaeilge atá an imeacht seo ach fáilteofar le cheisteanna i mBéarla. Contemporary Irish-language fiction is engaging with an exciting range of styles and themes, including detective and science fiction genres. 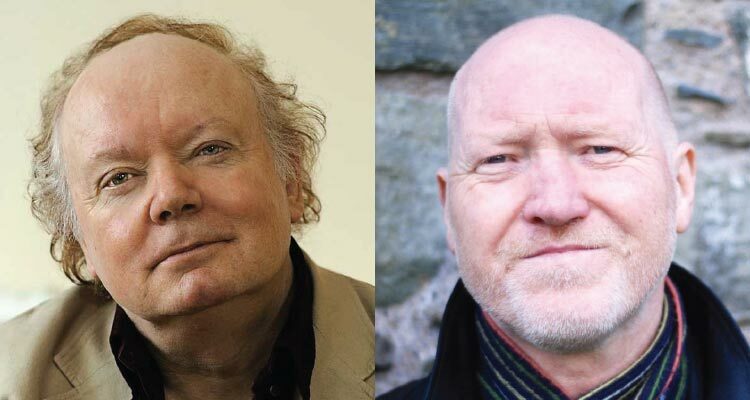 Join authors Alan Titley and Dave Duggan as they read from their latest novels, (Lámh, Lámh Eile and Makaronik) and discuss new writing in the Irish language with author and publisher, Tadhg Mac Dhonnagáin, who is currently working on his first novel, Bean an Oileáin, to be published in 2020. This event is primarily through Irish but questions in English are welcome during the Q&A. Iriseoir, criticeoir, úrscéalaí, gearrscéalaí agus drámadóir é Alan Titley agus is iomaí duais scríbhneoireachta atá buaite aige. Tá Alan ina Ollamh le Ghaeilge Chomhaimseartha in Ollscoil na hEireann, Corcaigh. / Alan Titley is an award-winning journalist, critic, novelist, short story writer and playwright. He is Professor of Modern Irish in University College, Cork. Is úrscéalaí agus drámadóir as Doire é Dave Duggan. An dráma, le snag-cheol, is déanaí uaidh ná CHEZZIE’S CHANCE (Blue Eagle Productions, 2018). Scríobh sé GRUAGAIRÍ (2007), a bhuaigh gradam ón Stewart Parker Trust, agus MAKARONIK (2014) d’Aisling Ghéar. / Dave Duggan is a novelist and playwright and lives in Derry. His latest play, which features jazz music, is CHEZZIE’S CHANCE (Blue Eagle Productions, 2018). He wrote GRUAGAIRÍ (2007), which won an award from the Stewart Parker Trust, and MAKARONIK (2014) for the Aisling Ghéar theatre company. Scríbhneoir agus foilsitheoir é Tadhg Mac Dhonnagáin, buaiteoir Ghradam Uí Shúilleabháin 2015 dá shaothar beathaisnéise Mise Raiftearaí an Fíodóir Focal, agus Gradam Réics Carló, 2018 don chnuasach Bliain na nAmhrán. / An award-winning writer for adults and children, Tadhg Mac Dhonnagáin’s background in genre includes the teen TV comedy drama, Aifric.